I want to introduce you to my friend, Rach, from Meatified! Isn’t Meatified a cool blog name? 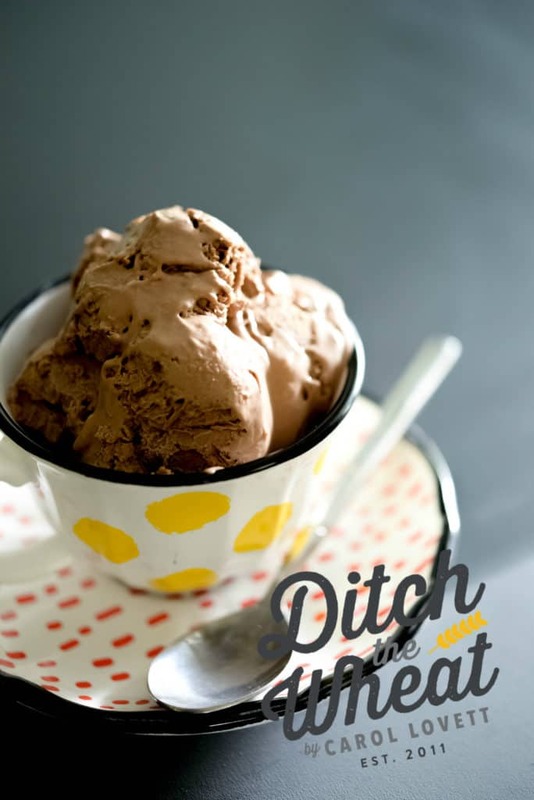 Rach develops grain free meals and snacks and shares them weekly on her blog and Facebook page. Be sure to checkout both. 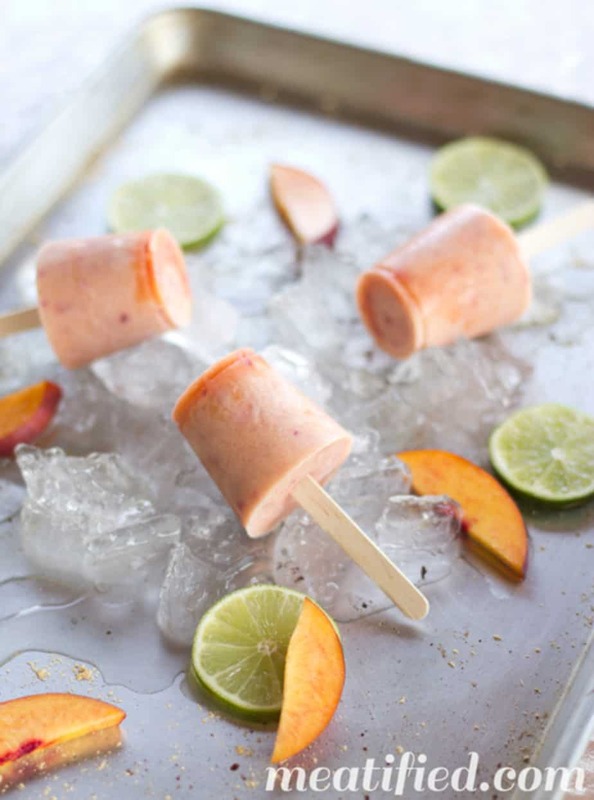 Here’s Rach’s divine mini nectarine and ginger popsicles recipe. I just love the photo so much, she is a great photographer. You know how some people constantly impress you with how organized they are? Especially in the kitchen? People who have perfectly written up plans of exactly what they will be cooking and eating for the week IN ADVANCE? Yeah, that’s so not me. I would love to be that efficient, but I have no idea what I want to eat right now, yet alone next week. So my idea of grocery shopping is pretty random. I mean, sure, I have my staples that I stock up on every time, but lots of my choices are pretty much made on the fly. It’s the kind of thing that drives Mr Meatified mad. He’ll get to the store with one of my lists and see that I’ve ever so helpfully written down something like “fruit”. Yup, just fruit. What kind of fruit? How much fruit? No idea! Mr Meatified needs to have his phone to hand at all times if he’s trying to navigate a store visit without me. So I may know that I need fruit for the week, but heaven knows what I’ll end up coming home with. It depends on a combination of what looks good, what gives me a good kitchen idea and, of course, what the best deal is. Take this week. I fully intended to revel in the glory that is ripe, in season peaches. Until I saw that these beautiful organic nectarines were half the price. Half the price! Sure, I had to buy 3 lbs of them, but they were a steal! And then a few days later I found myself looking at a bowl full of not-quite-at-their-peak nectarines. Whoops. But don’t worry! 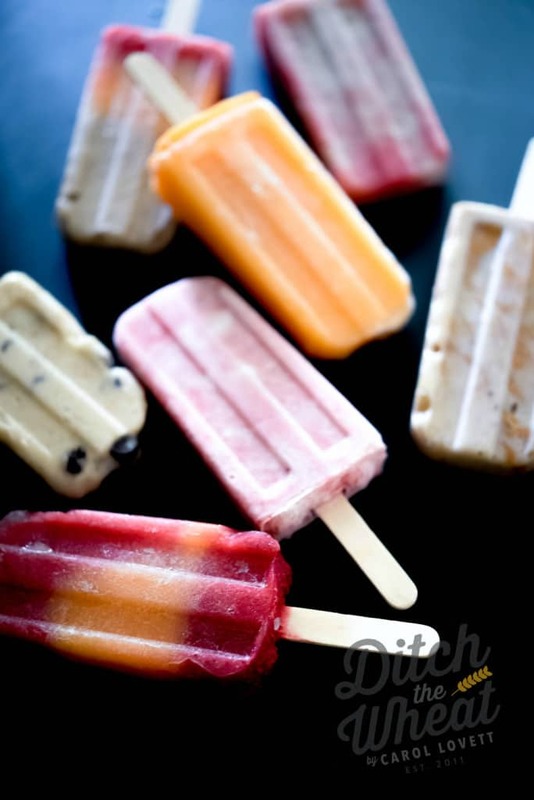 Should you find yourself with some less than stellar produce, I am here to tell you that popsicles are your friend! They are the savior of all summer fruit! 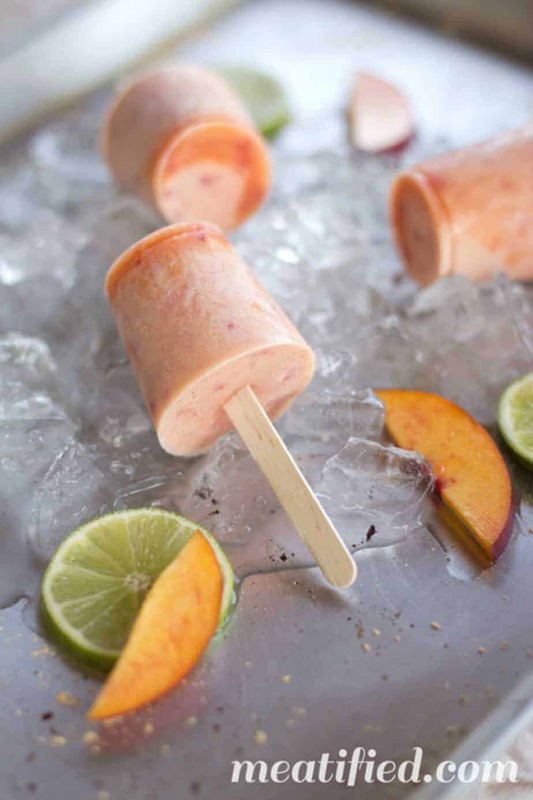 These Nectarine and Ginger Popsicles are delicious. I paired those super ripe nectarines with some creamy coconut milk, a little fresh lime juice and finished them off with some ginger. That touch of heat is a lovely contrast to the sweetness of the fruit. I left the skin on my nectarines because (a) I’m too lazy to de-skin nectarines and (b) it makes pretty little flecks throughout the popsicles. 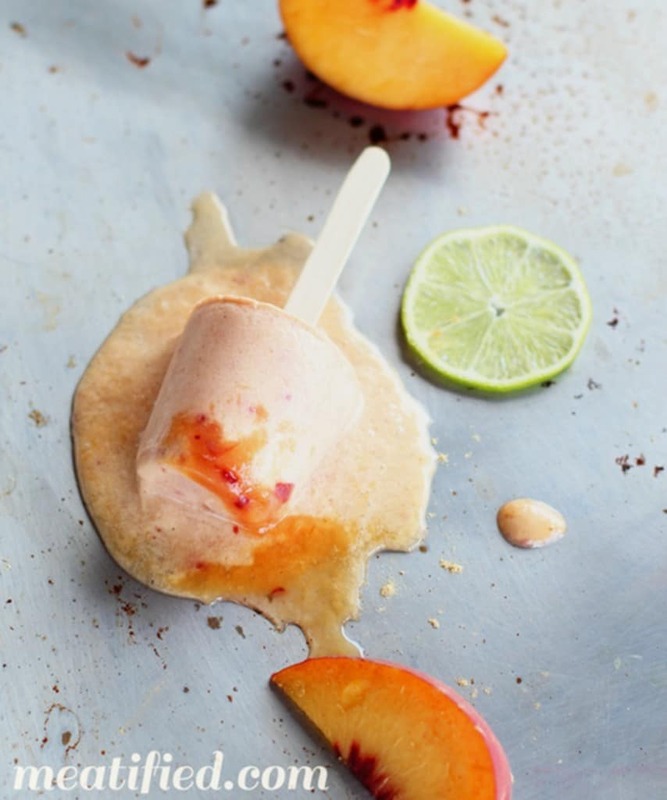 The best thing about these Nectarine and Ginger Popsicles – aside from how easy they are to whiz up in a blender – is that you can make them at home even if you don’t have any fancy-pants popsicle molds! I mean, feel free to use any kitchen fanciness that you may possess, but my kitchen is lacking in storage space, so I resorted to the classic: Dixie cups. Little 3 oz cups (like these ones) made perfectly sized mini popsicles. One little trick I have to teach you: don’t put the sticks into the popsicles before you put them into the freezer. 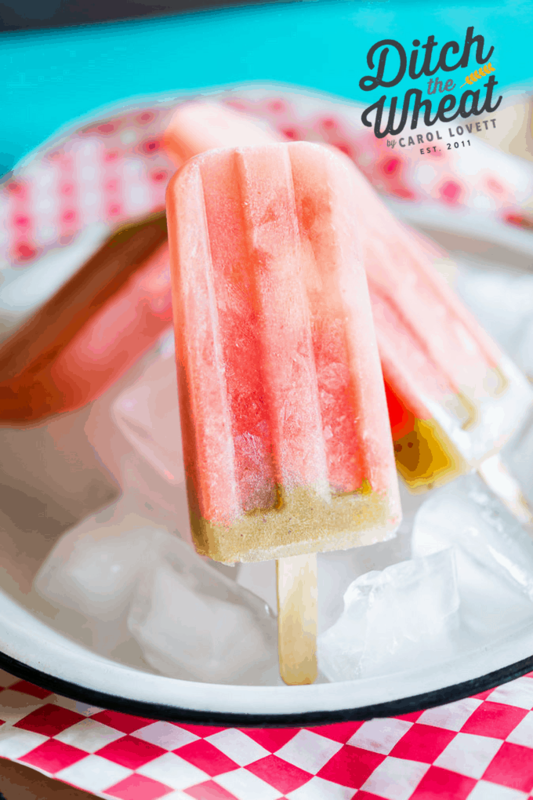 Freeze your stick-less popsicles for 30 minutes, then push the sticks into the popsicle cups and return them to the freezer to finish, well, freezing. This way you don’t have to worry about the sticks floating up or otherwise moving around. Simple! Add all of the ingredients to a blender and puree. I like to leave little flecks of nectarine in mine because it’s pretty! Divide the puree between the dixie cups, filling them short of the top so that they don’t expand and overflow. Freeze for 30 minutes on a baking tray. Take the popsicles out of the freezer and slide a popsicle stick into the middle of each dixie cup. Return to the freezer and freeze until solid, about 3 hours and 30 minutes. To remove from the dixie cups, just snip the rim and peel the rest of the cup off. I hope you enjoyed this recipe from Rach! Don’t forget to find her on Facebook here. If you love snacks like this I have two cookbooks you really need to check out asap! Indulge, for all your Paleo dessert needs and The Grain-Free Snacker for amazing Paleo snacks! 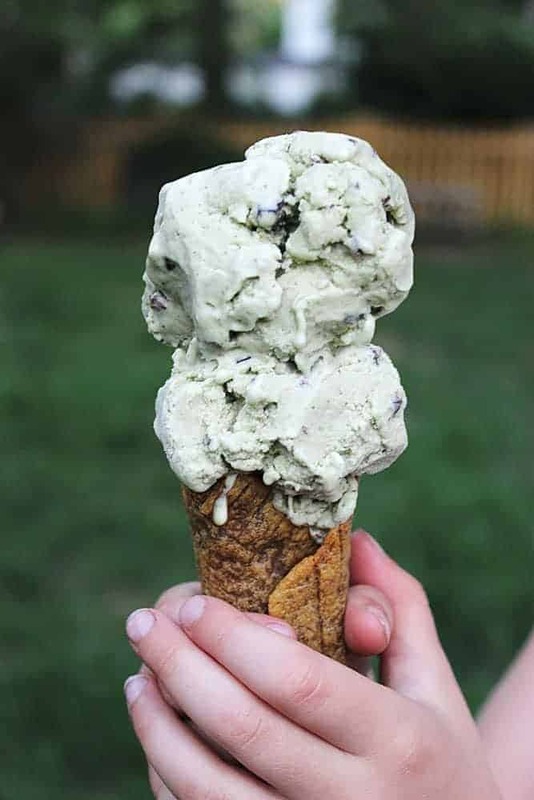 Check out these other frozen Paleo treats!